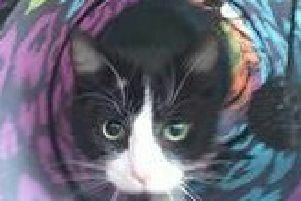 Mr Tom was a stray until a kind lady took him in, but sadly she is no longer able to look after him and he’s staying with Cats Protection while he seeks his new home. 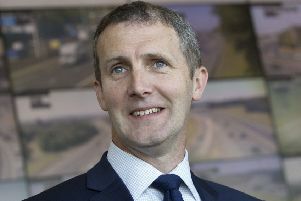 EU students at Forth Valley College will continue to benefit from free tuition despite continuing uncertainty over Brexit. 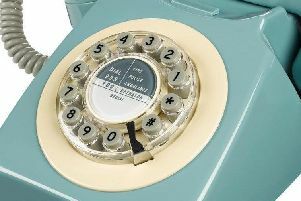 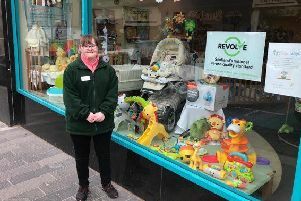 A Falkirk second hand store has received the stamp of approval from Revolve, Scotland’s re-use quality standard scheme. 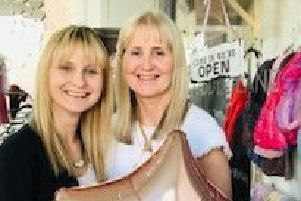 Puddle Lane was launched by Falkirk mum Eunice Livingstone and her daughter Liza Hoffman a year ago this weekend - and is reckoned to have plenty to celebrate. 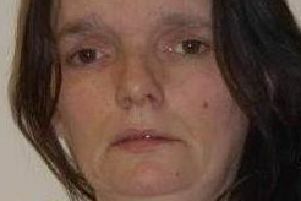 A missing woman with links to Plean’s Parkside Course has now been traced, say police. 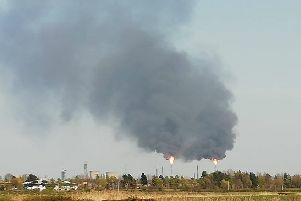 Ineos has now issued a statement about the black cloud of fumes emitted from two chimneys at its Grangemouth plant this afternoon. 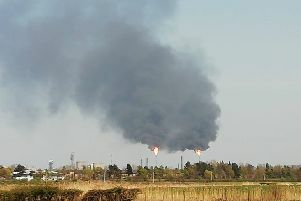 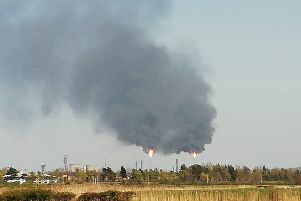 This picture shows the cloud of fumes seen belching from Ineos’ Grangemouth plant this afternoon, captured by a concerned Falkirk Herald reader. 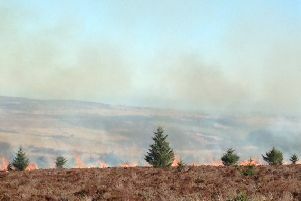 Fire chiefs have issued a national warning on the risk of wildfires over Easter weekend, after outbreaks in areas from the Highlands to Ayrshire. 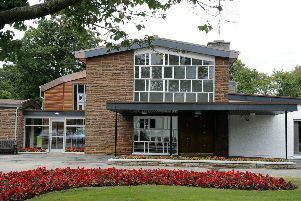 Hallglen’s first annual spring clean takes place on Monday morning - and many are already set to take part. 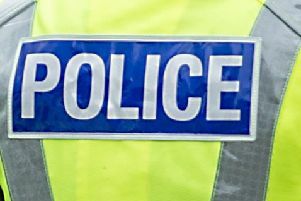 A walker passing through a patch of woodland was horrified to find the mutilated remains of a deer - later confirmed to have been hunted down and killed by dogs. 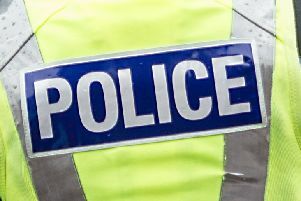 Police, ambulance and fire brigade services all descended on the canal bank near Falkirk’s St Mungo’s school last night after reports that a couple were stuck in treacherous mud. 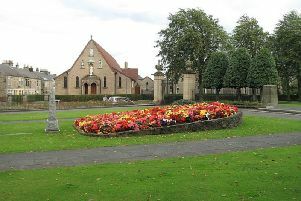 I beg your pardon … but Falkirk Council has promised the people of Grangemouth a rose garden. 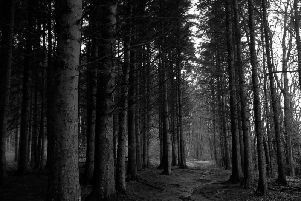 From little acorns, mighty oak trees grow – at least Falkirk Council is hoping that will be the case as a pioneering plan to help its woodlands thrive starts to take shape. 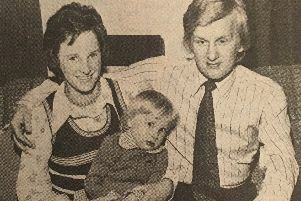 After five years and an expenditure of around £12 million the first of 1200 families has moved in to Falkirk’s ‘‘showpiece’’ Hallglen housing development. 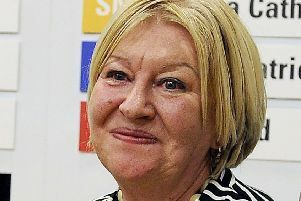 Falkirk Council has pledged to look at how it can help people who are unable to pay funeral expenses avoid the heartbreak of giving their loved one a pauper’s funeral. Police have asked for help in their efforts to trace a woman who has links to Parkside Court in Plean. 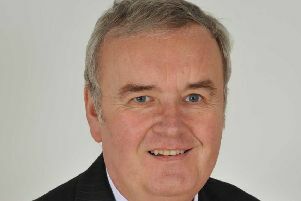 Councillors have given their support to the scheme that will deliver a second local development plan for Falkirk. 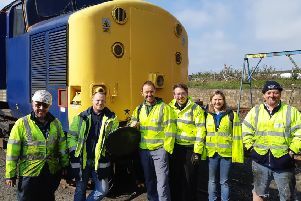 A group of volunteers from Scottish Water turned railway workers for a stint on the famous Bo’ness and Kinneil Railway - where they helped fix some of the line’s 900 “fish plate” links.